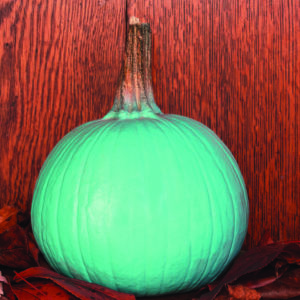 Look for teal pumpkins on porches this Halloween, which indicate the home is offering treats safe for kids with food allergies. It’s true what they say: there’s no place like home. It’s also true that unique risks exist, even in our own homes. Studies show that dangers in the home account for 20,000 deaths, 7 million disabling injuries, and 20 million hospital trips in the U.S. every year. In Washington, a social guest is legally classified as a “licensee.” This title matters, as it determines the level of care a homeowner must use to ensure their home is safe for guests. Are You Using “Reasonable Care” to Protect Guests on Your Property? A homeowner is required to use “reasonable care” to protect guests from known hazards on their property. Additionally, about a third of all unintentional injuries occur in the home—therefore, we owe it to ourselves, our family, and our friends to think about safety in our own homes. Handrails: Be sure your stairs, both inside and outside, have handrails that comply with building codes. A fall on even a short staircase can cause a big injury. With nothing to hold onto, those injuries can be worse still. Throw Rugs: Although they serve a great purpose, throw rugs are a big tripping and slipping hazard unless they are secured with tape or a professional rug mat. Bathrooms: Those tile floors can be slippery! Quickly clean up any water, and only use bathmats with a nonskid bottom. Walkways: As concrete settles or pavers move, our walkways and sidewalks become uneven. Even a minor offset can pose a tripping hazard. If you can’t repair it, mark any unexpected offsets with paint to alert your guests of this hazard. Carbon Monoxide: Carbon monoxide is colorless and odorless, making it an insidious killer. A carbon monoxide detector is different from your smoke detector and can plug in the wall, or be mounted to the ceiling, and detectors are inexpensive. If you don’t have one, we urge you to get one today. Medication and Cleaning Products: Safely store your medication and cleaning products, keeping them out of reach of children. Mixing household cleaning products can be dangerous. For example, a mixture of bleach and ammonia can create a toxic, undetectable gas. Smoke Detectors: They’re not only a good idea, they are required in all homes. Be sure you have one on every level of your home. Test your batteries and replace them every 6 months. Cooking: Did you know that cooking accidents are the leading cause of home structure fires and home fire injuries? Although it’s tempting sometimes, especially with holiday errands, don’t leave your oven or stove unattended. Annual Checkup: Fall is the time for checking chimneys, fireplaces, and your furnace. Have them cleaned and serviced yearly. Candles: Blow out candles when you leave home or go to bed. Wiring: It’s time to fix that faulty wire or hot light switch. Call your electrician today. Stop, Drop and Roll: Don’t forget to teach your kids this age-old classic for putting out fire, and have them practice it. Children are at the greatest risk of choking. I will never forget my best friend choking on a lemon drop in the 5th grade! Our teacher saved her life. Thinking about Halloween candy is a great reminder to keep kids safe from choking hazards. Hard Candies: Like peppermint stars (or lemon drops!). Be sure to check your child’s holiday gift bags and Halloween candy. Popcorn Kernels: These can easily become lodged in a child’s airway. Kids often grab popcorn by the handful, increasing the risk. Grapes: Whole grapes can lodge in a child’s airway due to the balloon shape. Cut grapes lengthwise, in quarters. Hot Dogs: These snacks are still the top choking hazard in children under 5. With football BBQs still underway, be sure hot dogs are cut lengthwise at least once before serving. Raw Veggies and Fruits: Carrots and apples in particular pose a serious risk for children who may struggle to adequately chew them. Be sure they are cut lengthwise with a width no greater than a matchstick. Adults Can Choke, Too! : The greatest risks for adults are less about the food, and more about the circumstances. Take small bites and fully chew your food. While this list isn’t exhaustive, we hope it prompts you to think about the hazards in your own home, and to be alert to your surroundings in other homes, too. If you are injured on someone else’s property, always seek appropriate medical attention right away. Next, be sure to consult an experienced and qualified Yakima personal injury attorney who will offer the best legal advice in a very complex area of the law. Schedule a free consultation, or call our attorneys today to learn more about your legal rights. All of us here at Abeyta Nelson Injury Law wish you and your family a happy (and safe) fall!